The Ocean Kayak Comfort Tech kayak seat back brings deluxe comfort to your sit-on-top kayak. Ah, sweet relief! The Comfort Zone(TM) seat back from Ocean Kayak turns your sit-on-top kayak into an extremely comfortable ride. 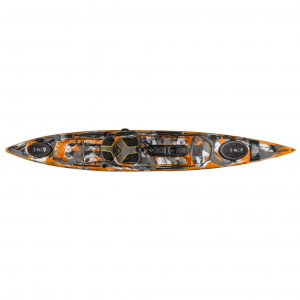 The Ocean Kayak Frenzy(TM) Sit-On-Top Kayak is an affordable gateway into the world of kayaking. Enjoy a new perspective that puts you in touch with the water with a stable, forgiving design. Use these medium Scupper Stoppers to keep excess water out of the cockpit of your Ocean Kayak watercraft. The Scupper Valves from Ocean Kayak take the whole concept of a scupper to the next level. Navigate inland waters, slow moving rivers, and moderate ocean swells with confidence. 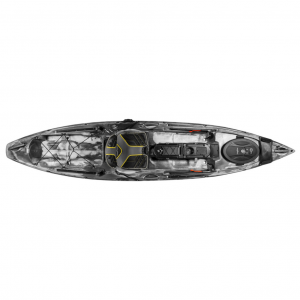 The Ocean Kayak Trident 11 sit-on-top has great stability and weight capacity with lots of angling features.